Everyone is looking for an edge in component creation: should I use createClass or ES6 classes? When should I use higher-order components? Are mixins dead? How to a create side-effects in a declarative world? In this issue, we're going to point you to a few approaches to each of these things. A big theme of this issue is how you reuse code between components. You can do that via mixins, decorators, factories, and higher-order components (components that take another component as an argument and return a new component). react-document-title is a "declarative, nested, stateful, isomorphic document.title for React". Really, react-document-title is the "hello-world" example of react-side-effect, also by Dan Abramov. react-side-effect is neat in that it's a utility to help you manage side effects with declarative components. Of course, if you need to manage a title and meta tags in a real app, you may want to consider using react-helmet instead. react-proxy proxies components without unmounting or losing their state. It's used primarily for hot-reloading, but you might find a use for it in other areas or tooling as well. react-mixin-decorator lets you create higher-order components out of mixins and/or create higher-order components that can easily double as mixins. But what does it actually do? The idea here is that you can convert code to be used by either ES6 classes (as decorators) or by using mixins. This library helps ease the transform between the two. React Armor is a collection of utilies to protect your React-powered DOM from third-party tampering. It provides several tools to make hard, if not impossible, for any script not encapsulated in your React app, to hook into your DOM. It obfuscates class names, tag names, and even tag structure. Stamps are a specification with the goal of to defining a standard format for composable factory functions. 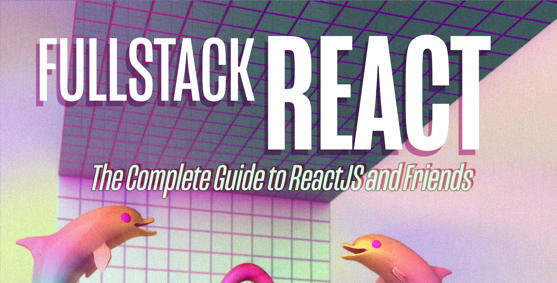 It's basically a standard at the level of React.createClass. react-stamp is a way to use the Stamp specification to create React components. These sort of standardization efforts always seem to have a lot of tradeoffs in practice, but it's neat to see progress in this space. This is a babel plugin that will remove propTypes from your components at compile time. Now, it's not so much that there is anything wrong with propTypes, but rather this serves as an example of how you might write your own babel transformer. You can read in the code here that it checks to make sure the component is stateless. You can view the implementation for isStatelessComponent here.